There’s no one recipe to becoming a successful online retailer. Julie Degnan began with a love of numbers, mixed in an entrepreneurial father, and added a “pinch” of a job loss, topped with the icing on her three children’s birthday cakes, to create her Cakes And Kids website. English-born Degnan moved to California with her family when she was 16 years old. A natural with numbers, she earned a B.A. in Math from the University of California in San Diego in 1988 and an M.B.A. from Saint Mary’s College in Moraga, California in 1992. She then worked for more than 20 years in online marketing for Bank of America, Charles Schwab, and FICO, as well as some small start-ups that specialized in greeting cards and online poker. Laid off in January 2010, Degnan started looking for a new job. But her father encouraged her to follow her newfound passion and start a cake-decorating supplies website to supplement her unemployment benefits. “My Dad, who owned his own construction management company, pointed out all the advantages of being your own boss,” Degnan said. She spent a few hundred dollars on fondant and mini cookie cutters as stock to launch Cakes And Kids in 2010. Her business has been entirely self-funded, where she plows money received back into the website. Degnan earned $35,000 in revenue in 2010 as she juggled her full-time marketing role, but quit her job in September 2011, when revenue had doubled to $75,000 for that year. Revenue doubled again to $150,000 in 2012. “I know Dad would be immensely proud of how my business has grown in the past 18 months since he passed away,” said Degnan. Other “mompreneurs” recommended Degnan start her website business with the free, basic version of Mal’s Ecommerce shopping cart, and sign up for the basic website hosting package for $15 per month from Merchant Moms. Mal’s Ecommerce enabled Degnan to customize the look and feel of her store, add “Buy Now” buttons to her existing product pages, and take orders without having to install scripts or applications or buy a SSL certificate. “The basic version of Mal’s is pretty adequate for my size of business. It includes shipping and sales tax calculators, the ability to sell gift cards and provide coupon codes, and built-in conversion tracking for Google AdWords and Bing Ads,” Degnan said. Degnan surfed Etsy looking for a designer to create her business cards and logo. She hired Dreamlike Magic, who created those, and then her website template. Cakes And Kids home page. “For about $400 she created and installed a custom template and also created my business cards, stickers, banners, and avatars. I love that my entire business has a unified brand and a consistent look and feel,” Degnan said. Degnan currently uses PayPal for all payments through her website. “To accept credit cards, I would need to upgrade to the premium version of Mal’s Ecommerce and select a third party payment processor; this is something I would like to add in the next 12 months,” Degnan said. Merchant Moms’ administrative interface allows Degnan to see her orders at a glance. “I can sort them by date, status, and can also search them by name if I am looking for a particular order,” she said. Degnan has no employees to date although her mother does help to pull products and pack orders. “Cakes And Kids is growing to the point now where I may need to bring on some part-time help during certain times of the year such as for the Christmas holidays,” Degnan said. Degnan has put her long experience with online marketing to good use. She doesn’t pay for advertising, and has saved money not hiring an SEO company. She advises other online merchants build links naturally. She suggests retailers also use Google’s free keyword research tool to determine which keywords to optimize and recommends to include some text content on every page. Degnan uses PayPal’s labeling system to print labels for each order. “While I do deliver my packages to the post office every day, they’re pre-labeled so I can just leave them on the counter, bypassing any lines, which saves time,” Degnan said. Cakes And Kids lists about 800 products. While she buys some items wholesale in the U.S., Degnan has been sourcing cupcake liners, baking cups, flower candy cups, paper straws, and washi tape from China, Hong Kong, and Taiwanese wholesalers on AliExpress, the Alibaba affiliate, to save money on larger wholesale orders. “I spent some time researching the various AliExpress sellers, looking at their feedback before ordering the first time. I have not had any issues to date. Products have arrived in good time and the quality has been good,” Degnan said. She seeks products with simple patterns, such as dots, stripes, and chevron, in different colors, rather than the licensed character supplies found in most retail party stores. “My cupcake kits are very popular — combining jars of mixed colored cupcake sprinkles and matching liners — and this is something you won’t find in retail party shops,” Degnan said. Degnan has about 200 square feet of product to date, but has no formal inventory management system in place, currently assessing her supply levels by just looking at them. “I can look at a stack of cupcake liners and tell roughly how many are in it without actually having to count them all,” Degnan said. 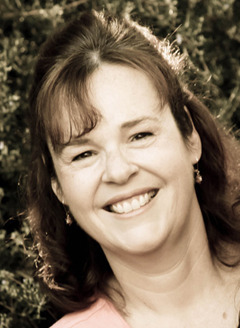 Degnan uses Quicken to keep track of her revenues and expenses. Cakes And Kids is active on Facebook, less so on Twitter and Pinterest. “I try to develop relationships with many of my customers through social media and that often turns them into repeat buyers,” Degnan said. She has developed a large network of contacts within the party and event-planning world through social media. Degnan views social media as a great way to get free advertising, free branding and free public relations. Cakes And Kids has been self-funded since it began. “If I don’t have the funds to buy new products then I wait until I do have it to keep my expenses under control,” Degnan said. She prefers to buy stock in bigger quantities and has avoided hiring staff to date to control expenses. Customer service is one of Degnan’s biggest priorities as she believes happy customers are repeat customers. “Since I deal mostly with people ordering for birthday parties, showers, and weddings, I am usually dealing with deadlines and often stressed out moms or brides,” Degnan said. Degnan said her biggest mistakes to date are not managing her inventory better and then having to pay high shipping prices to get something in stock quickly. “I really need to get ahead of the game on this one and the sooner the better,” she said. Degnan is proud she has been able to make enough revenue to justify quitting her full-time job to run her business. She is also thrilled with the media she has received from big parties. “I’ve received a lot of requests for the same baby bottle and button toppers that were used in Kate Landers’ baby shower. So that was definitely a boost for business. The shower debuted on the Layla Grace blog and that generated a fair amount of traffic,” Degnan said.